Mostafa Ammar is a Regents' Professor with the School of Computer Science at the Georgia Institute of Technology. He served as Associate Chair of the School of Computer Science from 2006 to 2012. Dr. Ammar received the S.B. and S.M. degrees from the Massachusetts Institute of Technology and the Ph.D. degree from the University of Waterloo, Ontario, Canada. 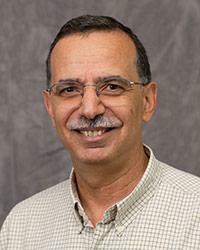 Dr. Ammar has served the networking research community in multiple roles. Most notably, he served as the Editor-in-Chief of the IEEE/ACM Transactions on Networking (ToN) from 1999 to 2003, and he was the co-TPC Chair for the IEEE ICNP 1997, ACM CoNEXT 2006 and ACM SIGMETRICS 2007 conferences. He currently serves on the steering committee of the IEEE Transactions on Mobile Computing. His awards include the IBM Faculty Partnership Award (1996), Best Paper Award at the 7th WWW conference (1998), the GT Outstanding Doctoral Thesis Advisor Award (2006) and the Outstanding Service Award from the IEEE Technical Committee on Computer Communications (2010), the ACM Mobihoc Best Paper Award (2012), College of Computing Faculty Mentor Award (2015) and the GT Course Survey Teaching Effectiveness Award (2013, 2014, 2015, and 2016).